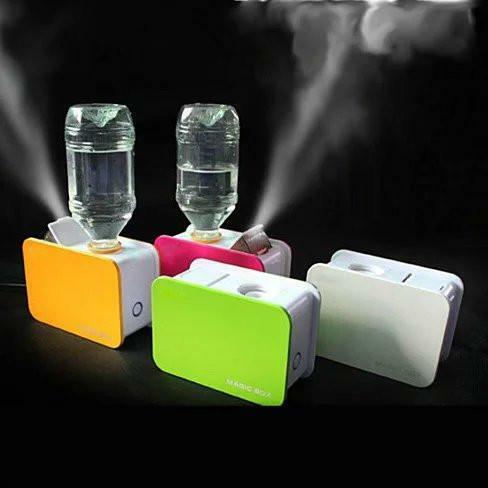 Portable Table Top Humidifier in a small compact box that can go with you anywhere. 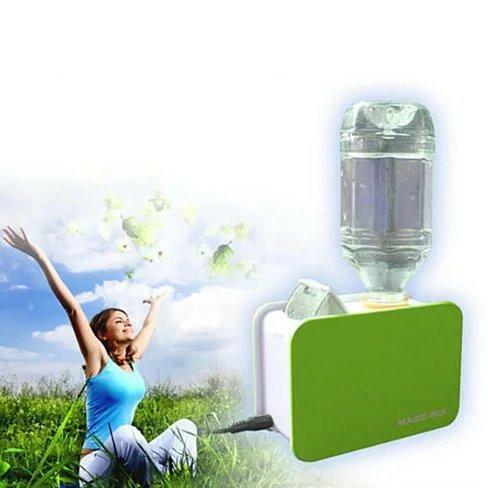 It does not have a water tank built in instead it uses your ordinary water bottle to make the fine mist.Humidifier are known to have many health benefit a regular use can improve breathing and relaxation and good night sleep. 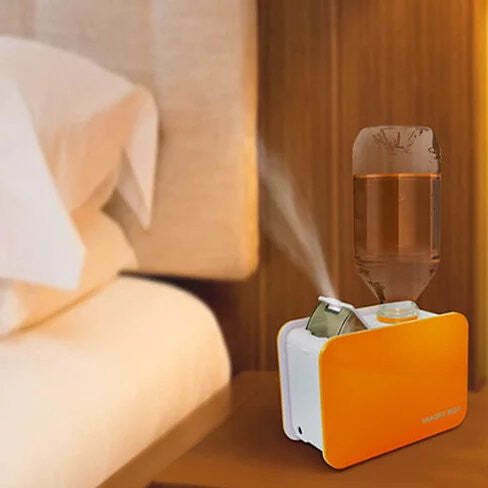 It will help you put the right amount of moisture in your room and remove the dryness that happens due to central heat or fireplace in winter time.The portable Table Top humidifier can direct the mist to multiple angles and can quickly be turned off and carried anywhere no watery mess to empty. It has a built in filter system that produces the micro mist and throws it out making it an ideal solution for any room. 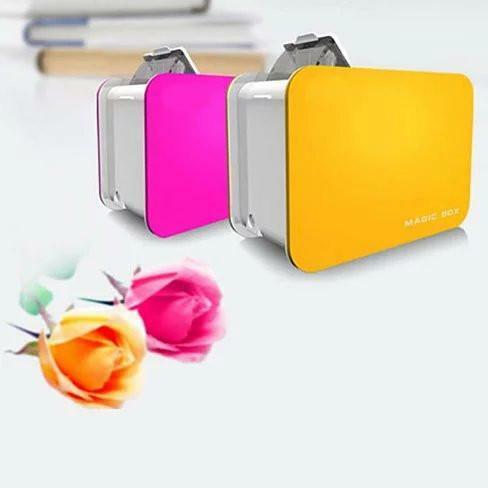 Return your room back to smelling fresh and live with this Table Top Magic Box Humidifier.Comes with an Extra set of filter and the filters can be used over and over again by simply washing them thoroughly under tap water when needed.The Humidifier plugs into the wall with a provided power cord. (Water Bottle not included)Water bottle with mouth opening up to 1.25 inch can be used to serve as a water supply and no more than 16 oz. bottle.Box size: 6in wide x 4in tall x 2.5 inch thickComes in: Pink, Lime Green, and Yellow & White.6 months warranty included.